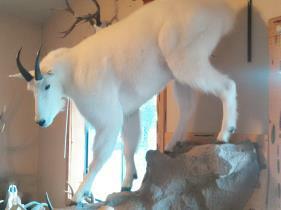 White Mountain Taxidermy Studio has been open for business in Ruidoso, New Mexico since 2004. Owner/operator Josh Jensen graduated from Pennsylvania Institute of Taxidermy and is highly trained to mount your trophy professionally. We use only the highest quality of tanning and supplies so that every piece is made to last and be a mount that you would be proud of. Our taxidermists also take the time to custom-alter every mount to make it look it's best and to look just the way you want. 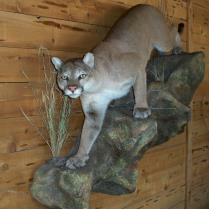 We are members of the New Mexico Taxidermy association and the National Taxidermy Association. We also do boneless wild game meat processing so you can do all of your game care in one location! We have years of experience taking care of our out-of-area hunters, and we regularly ship meat and mounts all over the country. We also make deliveries to Albuquerque, Roswell, and Las Cruces.